Tulip tables are a staple of mid-century modern furniture. Tulip tables were originally designed by Eero Saarinen, an American/Finnish architect known for his futuristic style. 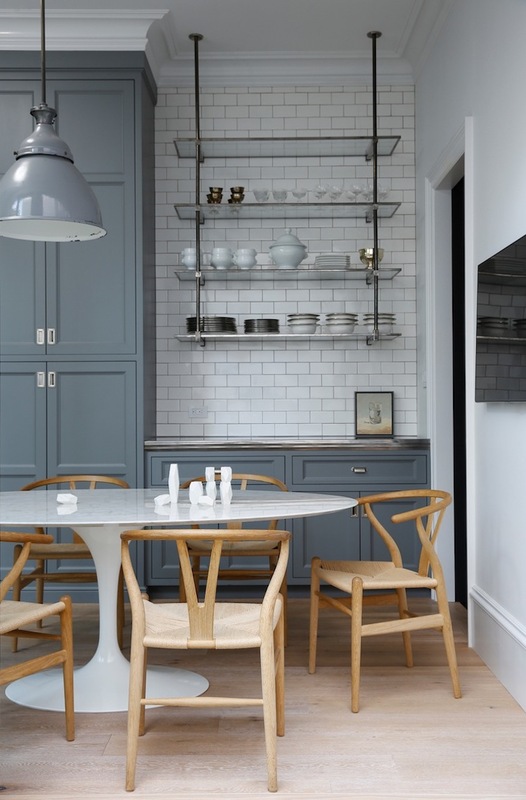 The table was first sold by Knoll in 1957 and continues to be a mainstay design classic. 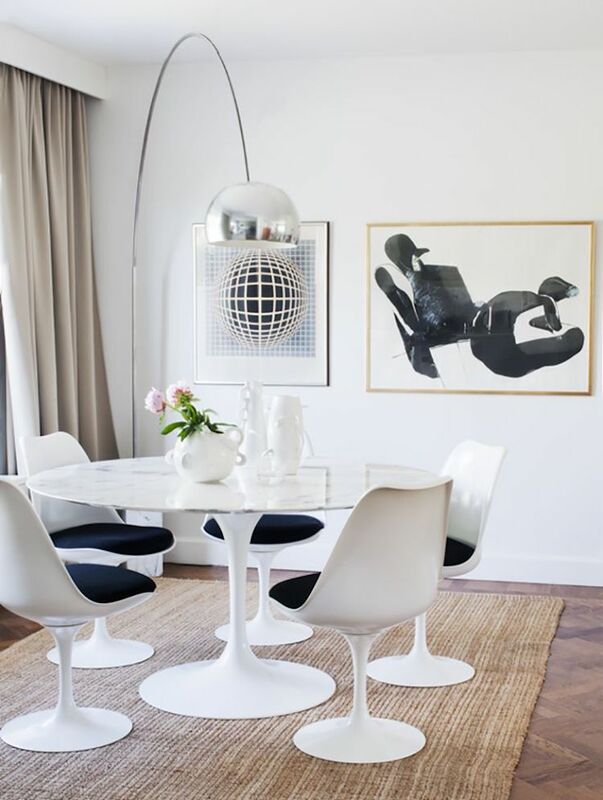 These tables are sometimes called Saarinen tables, a reference to the designer himself! Personally I love tulip tables and would easily put one in my dining room if I was in the market for a new table. Here’s why: they feature a small central base, meaning if you have to add an extra chair at the dinner table, none of your guests will be stuck with the table leg awkwardly in front of them. You can add as many or as few chairs as you like, too. While an odd number of chairs may look funny at a square table, they look fabulous around a tulip table. They allow all your guests to move their feet freely underneath the table, without running into a leg! If you’re still not sold, check out the tulip tables below and see if one catches your eye. They come in all sorts of sizes including round and oval. Marble is of course, one of my favorite materials so I included a nice selection of marble top tulip tables here, as well as some solid white ones. Click the tables on the image below to shop! 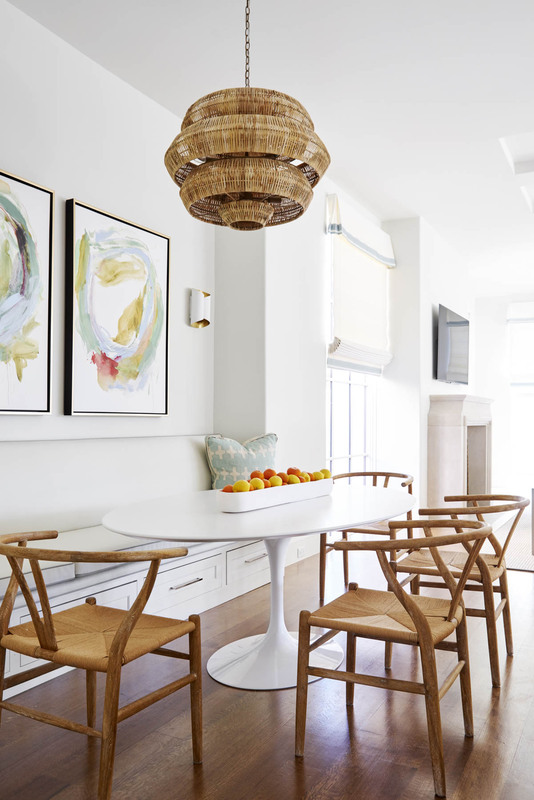 Can you tell me where the wicker ceiling fixture in the top photo is from? It’s the breakfast built-in seating area with a tulip table and the wicker lighting. Thank you.